Выплата HCP TRADES: The amount of 0.63 USD has been deposited to your account. Accounts: U16819544->U981****. Memo: API Payment. Withdraw to dengivdom from HCP TRADES.. Date: 13:29 22.10.18. Batch: 233009506. Выплата HCP TRADES: The amount of 0.63 USD has been deposited to your account. Accounts: U16819544->U981****. Memo: API Payment. Withdraw to dengivdom from HCP TRADES.. Date: 14:35 21.10.18. Batch: 232905871. Выплата 10daysprofit: The amount of 38.66 USD has been deposited to your account. Accounts: U13651110->U981****. Memo: Shopping Cart Payment. Withdraw to dengivdom from 10daysprofit co uk.. Date: 13:24 22.10.18. Batch: 233008904. Выплата finsatellite: The amount of 0.15 USD has been deposited to your account. Accounts: U15272245->U981****. Memo: API Payment. Withdraw to dengivdom from Satellite Prosperity LTD.. Date: 19:57 20.10.18. Batch: 232841512. 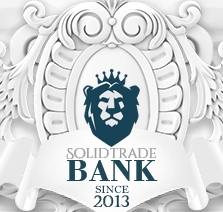 Выплата HCP TRADES: The amount of 0.63 USD has been deposited to your account. Accounts: U16819544->U981****. Memo: API Payment. Withdraw to dengivdom from HCP TRADES.. Date: 15:39 20.10.18. Batch: 232820310. Выплата palmyrtrade: The amount of 0.24 USD has been deposited to your account. Accounts: U17669871->U981****. Memo: API Payment. Best of luck to dengivdom from palmyrtrade com.. Date: 06:19 19.10.18. Batch: 232656097. Выплата finsatellite: The amount of 0.3 USD has been deposited to your account. Accounts: U15272245->U981****. Memo: API Payment. Withdraw to dengivdom from Satellite Prosperity LTD.. Date: 20:00 19.10.18. Batch: 232741690.